New York City has done this fantabulous thing, which is rewarding landlords with all sorts of rebates if the toilet bowl only uses a gallon of water to flush. So now, not only do we have to flush about 10 times to get everything down, but our toilet clogs all the time. Which has caused me to go on a shopping spree for a new plunger, because the old one BROKE. 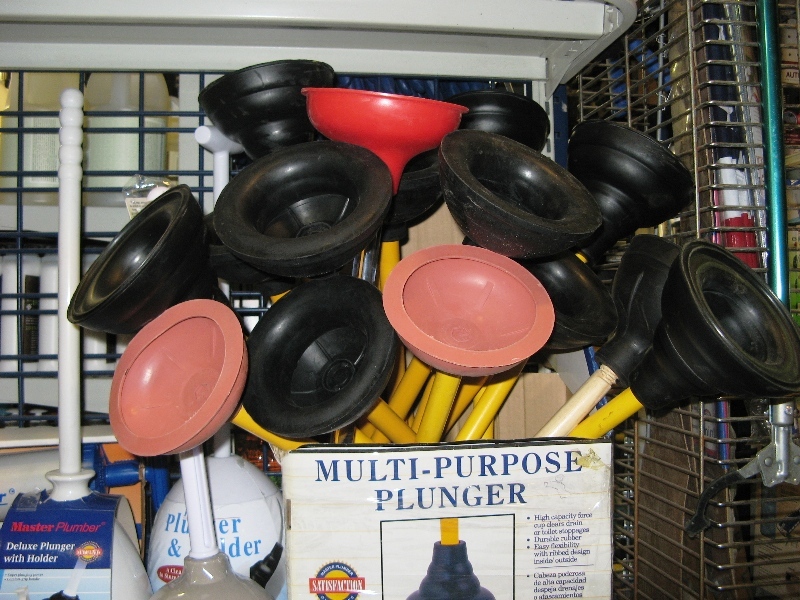 Don’t ask me how plungers break. But they do. Don’t you want this arrangement on your coffee table?